Liang Sicheng (梁思成; 20 April 1901 – 9 January 1972) was the son of Liang Qichao, a well-known Chinese thinker in the late Qing Dynasty. Liang Sicheng returned to China from the United States after studying at the University of Pennsylvania. His first wife was Lin Huiyin and his niece is Maya Lin. Liang is the author of China's first modern history on Chinese architecture and founder of the Architecture Department of Northeast University in 1928 and Tsinghua University in 1946. He was the Chinese representative in the Design Board which designed the United Nations headquarters in New York. 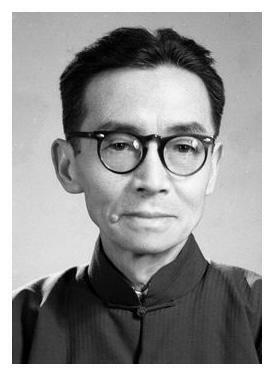 He, along with Lin Huiyin (1904–1955), Mo Zongjiang (1916–1999), and Ji Yutang (1902–c. 1960s), discovered and analyzed the first and second oldest timber structures still standing in China, located at Nanchan Temple and Foguang Temple at Mount Wutai. To spread and share his understandings and appreciation of Chinese architecture, and most importantly, to help save its diminishing building technologies, Liang published his first book, Qing Structural Regulations in 1934. The book was on the study of the methods and rules of Qing architecture with the 1734 Qing Architecture Regulation and several other ancient manuals as the textbook, the carpenters as teachers, and the Forbidden City in Beijing as teaching material. Since its publication, for more than seven decades, this book has become a standard textbook for anyone who wants to understand the essence of ancient Chinese architecture. Liang considered the study of Qing Structural Regulation as a stepping stone to the much more daunting task of studying Song dynasty Yingzao Fashi(Treatise on Architectural Methods ), due to the large number of special terms used in that manual differ substantially from the Qing dynasty architectural terminology. Liang's monumental study of Yingzao Fashi spanned more than two decades, from 1940 to 1963, and the first draft of Annotated Yingzao Fashi was completed in 1963. However due to the eruption of Cultural Revolution in China, the publication of this work was cut short. Liang's Annotated Yingzao Fashi was published posthumously by Tsinghua University Architecture Department's Yingzao Fashi Study Group in 1980. (The text occupies all of Volume 7 in his ten-volume Collected Works). Liang considered the Yingzao Fashi and Qing Structural Regulations as "two grammar books of Chinese architecture." He wrote, "Both government manuals, they are of the greatest importance for the study of the technological aspects of Chinese architecture." Another book, History of Chinese Architecture, was "the first thing of its kind." In his words, this book was "an attempt to organize the materials collected by myself and other members of the Institute during the past twelve years." He had divided the previous 3,500 years into six architectural periods, defined each period by references to historical and literary citations, described existing monuments of each period, and finally analyzed the architecture of each period as evidenced from a combination of painstaking library and field research. All of these books became the platform for later scholars to explore the principles and evolution of Chinese architecture, and are still considered classics today. Liang's posthumous manuscript "Chinese Architecture, A Pictorial History", written in English, edited by Wilma Fairbank was published by MIT Press in 1984 and won ForeWord Magazine's Architecture "Book of the Year" Award". Liang's first experience participating in the restoration of an old building was in 1932, when he was asked to restore a two-story imperial library, the Wenyuan Chamber, erected in 1776 in the southwestern part of the Forbidden City. In 1935, he was selected as the advisor of the restoration project of the Temple of Confucius. In his proposal he expressed his attitude toward historic buildings. He said, "in the face of all the old buildings dating from different periods of time, it is our responsibility to protect and restore them. Before starting our work, we need to carefully look into its background, to fix it in a rational way in order to extend its existence for as long as possible." Liang's attitude toward tradition is typical of the Chinese spirit of conservation and respect for the past. The same reverence toward history was reflected by most of Liang's design works. One example was in around 1950, when he and his wife were both appointed to the groups designing the new national emblem. They urged that the emblem should have Chinese characteristics, not a hammer and sickle. They succeeded and in the end a representation of the fa?ade of the Tiananmen in red and gold became the emblem that is still used today. In 1951, they were commissioned to design the Monument to the People's Heroes, which was to be erected in the center of the Tiananmen Square. Liang's advice that it should resemble the stone memorial stele universally found throughout China swayed the design group. It is noticeable that although Liang received a totally western education in his youth, he and his works were still dominated by a conservative and tradition-oriented spirit, which was probably influenced by his father, and which was also authentic and sincere for a real Chinese scholar. When Liang was later given the responsibility to develop a national style of architecture by the Communist Party of China, his intention was to pass on the essence of Chinese architecture. This specific "essence", was considered to be the "large roof", the temple-style concave curved roofs and overhanging eaves to denote their Chinese origin. Though he was severely criticized for this during political campaigns, a wave of the National Style had already spread out and even continued to be influential after one or two decades. Famous examples include: China Fine Arts Gallery (1959), National Library of China (1987), Beijing west railway station (1996), which are all typical of their large roofs. With such a deep respect for tradition and the nation's cultural heritage, Liang came up with his biggest ambition: preserving Old Beijing in its entirety. Under the Communist government, he was named Vice-Director of the Beijing City Planning Commission. In his early recommendations for transforming Beijing into the new national capital, he insisted that the city should be a political and cultural center, not an industrial zone. He later put forward a proposal that a new administrative center for government buildings with a north-south axis be established west of the Forbidden City, far away from the Inner City. He also advocated that the city walls and gates be preserved. He even published an article entitled "Beijing: a Masterpiece of Urban Planning", hoping to win the support of the general public. Very regretfully, these dreams of Liang were not realized, ending only in frustration. Despite his best efforts, most of Beijing's ancient gates and city walls have been torn down, depriving the world of a spectacular example of cultural history.